The Atlantic herring, Clupea harengus, is the herring fish belonging to the family Clupeidae associated with Atlantic Ocean ranging from Gulf of Maine, the Bay of Fundy, the Gulf of St Lawrence, the Labrador Sea, the Beaufort Sea, the Davis Straits, the Norwegian Sea, the Denmark Straits, the English Channel, the North Sea, the Irish Sea, the Celtic Sea, Sea of the Hebrides and the Bay of Biscay. It has large number of prey as well as predators. Orca, dolphins, cod, porpoises, rockfish, sharks, whales, seabird, squid, seals, sea lions, tuna, fishermen and salmon are its predators. Other common names for this Herring fish are Norwegian Sloe, Bloater, Bismark Herring, Cleanplate Herring, Fall Herring, Cut spiced Herring, Hern, Golden Cure, Herring, Herning, Herron, Kipper, Klondyked Herring, Kipper Herring, Mattie, Labrador Herring, Matje Cured Herring, Melker, Mediterranean Cure, Milker Herring, Mesh Herring, Mustard Herring and others. Atlantic herring have greenish or grayish back and silvery bellies. Their bodies are compressed, slender with pointed nose, large mouth, and round belly. It measures about 45 cm (18 inches) long and weighs 1.1 kg (2.4 lb). The scales are large but loosely attached. They live upto 12 years. The spawning takes place from October to November. It feeds on plankton, sea creatures, small sprats, krill, copepods and other fish. The serving size of 143 g of cooked herring fish offers 91.75 g of moisture, 290 calories, 32.93 g of protein, 16.57 g of lipid fat and 2.67 g of ash. This is of 65.86% of daily value for protein, 47.34% of DV for fat, 782.92% of Vitamin B12, 121.64% of Selenium, 90.73% of Isoleucine, 90.43% of lysine, 83.86% of tryptophan, 82.05% of threonine, 80.35% of valine, 78.73% of histidine, 72.43% of leucine, 61.86% of phosphorus, 38.31% of Vitamin B6, 36.86% of niacin, 32.92% of riboflavin, 25.25% of iron, 21.65% of choline, 21.16% of Vitamin B5, 18.78% of copper, 16.55% of zinc, 14.05% of magnesium, 13.33% of thiamin, 13.07% of alpha-tocopherol, 12.74% of potassium, 10.93% of sodium and 10.60% of calcium. 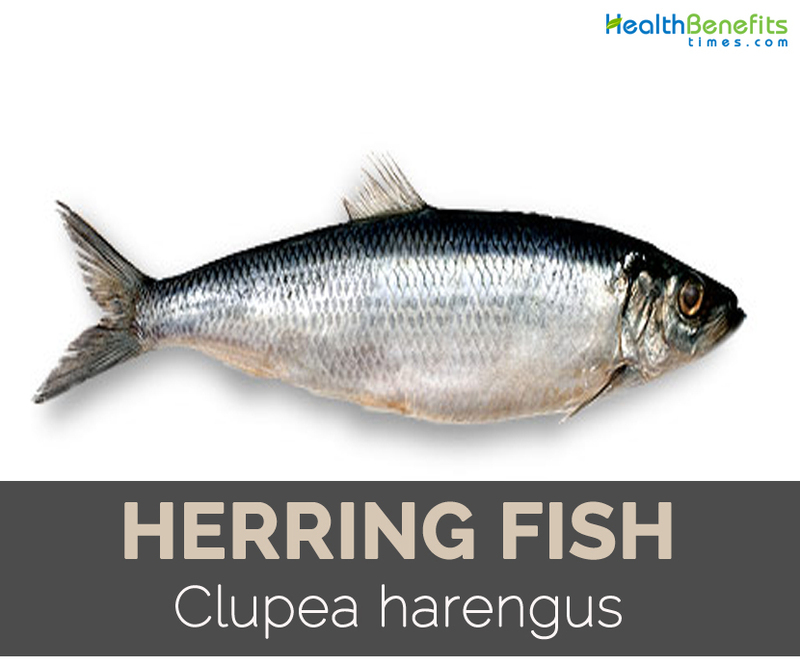 Herring fish is loaded with ample amounts of nutrients. It provides minerals such as calcium, phosphorus and magnesium which help to maintain the bone or teeth health. It is rich in Omega-3 fatty acids which help to maintain the function of brains. Seafood has high content of Omega-3 and low amount of saturated fat that helps to prevent heart ailments by lowering the cholesterol level in blood. The study shows that the high intake of fish lowers the chances of heart ailments by half. The intake of fish promotes the blood circulation and lowers the chances of thrombosis. Seafood contains EPA and DHA omega 3 oils that prevent the production of eicosanoids which could lead to inflammation and blood clots. The daily intake of fish soothes the symptoms of rheumatoid arthritis that could swell the joints. The research shows that Omega-3 fat is associated with osteoarthritis. The consumption of seafood could prevent from this disease. The daily intake of fish helps to maintain healthy eyes. The study shows that Omega-3 fatty acids prevent the eyesight from getting macular degeneration. It has retinol which is a form of Vitamin A that helps to promote the night vision as well. 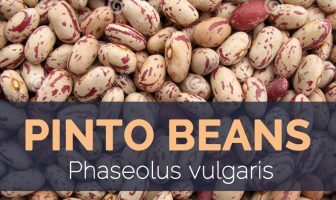 It contains nutrients such as selenium, iodine, potassium and zinc. Iodine is essential for thyroid gland, selenium helps to prevent from cancer. They are the great source of Vitamin D and A. Seafood provides relief from asthma and also protects lungs. The high consumption of fish makes the lungs healthy and strong. It also prevents from getting depression. The research shows that low presence of Omega-3 is associated with high risk of depression. It could prevent from getting Seasonal Affective Disorder as well as post natal depression. The research shows that fish prevents the inflammatory bowel disease such as ulcerative colitis and Crohn’s disease. Omega 3 also slows down the development of inflammatory bowel disease. As human brain consist of 60% of Omega-3 fat, so high intake of seafood leads to lower chances of getting dementia as well as mental problems. It is also associated with reading skills, concentration and behavior. The allergic people should avoid its consumption. Children and pregnant women should consult a doctor before consumption. It is smoked, salted and pickled. Dried herring is consumed in Philippines with eggs and garlic rice. Herring soup is considered as traditional dish in Sweden. The chopped Herring is served on bread. Female herring fish lays up to 30,000 of eggs. The scales are loosely attached. They swim in ­­groups which are known as schools. Atlantic herring could grow upto 17 inches and 1.5 pounds. It is grayish blue to greenish with silvery abdomen. It has small teeth which are arranged on an oval shape. During the lifespan of young herring fish, they could migrate up to hundreds of miles in ocean. It contains a single dorsal fin. It feeds on krill, copepods and small fish. Cod, whales, large fish and seals are its natural predators. It could be found on the swarms of Atlantic Ocean. Calories in 1 fillet (143 gm) 290 Kcal. Children and pregnant women should consult a doctor before consuming. Dried herring is eaten with eggs and garlic rice. Female lays up to 30,000 of eggs. The scales are attached loosely. Calories 290 Kcal. Calories from Fat 149.13 Kcal. Calories 360 Kcal. Calories from Fat 25.62 Kcal.